Is it possible live fully—even joyfully—in the middle of overwhelming pain? In the excruciating aftermath of her young daughter’s death from cancer, Kate Merrick struggled to find a way to live. Not just to survive or go through the motions, but to live fully. Faithfully. With real joy amid inevitable tears. 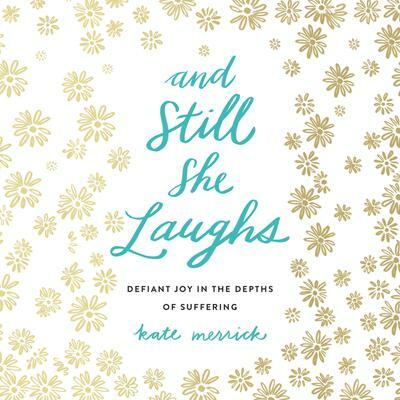 To discover how, Kate delved into the stories in the Bible of real women who suffered deeply and emerged somehow joyful. How did Sarah, after twenty-five years of achingly empty arms, learn to laugh without bitterness? How did Bathsheba, defiled by the king who then had her husband killed, come to walk in strength and dignity, to smile without fear of the future? In her encounters with these heroines of the faith, Kate discovered how to have contentment—and even joy—whatever the circumstances. By turns heartbreaking and humorous, And Still She Laughs reveals the secret to finding hope in the midst of devastation. In the end, no matter what hardships we face, we can smile, cry, and come away full—laughing without fear and eagerly looking for what is to come.